If the basement in Margaret VanSickle's Euclid home seems particularly empty, the water is why. "I've had seven floods in eight years," said VanSickle. "And I've had three recently." No couches. No TVs. The washer, dryer, and freezer are all up on blocks. 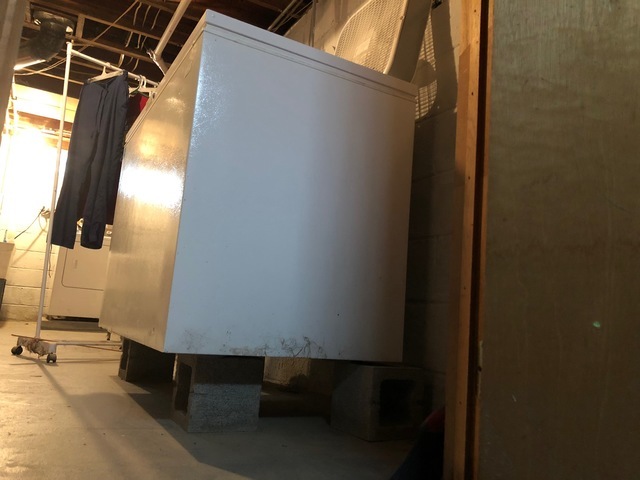 Margaret VanSickle's freezer up on cinder blocks to keep it above the water line when her basement floods. "That was one of my favorite things about this house, the basement was finished," said VanSickle. "That was going to be my Cleveland Browns room. Go down there an watch the Browns." But with the chance that it'll flood with a heavy rain, those plans are gone. Even after getting a bigger sump pump, VanSickle says the water keeps coming. 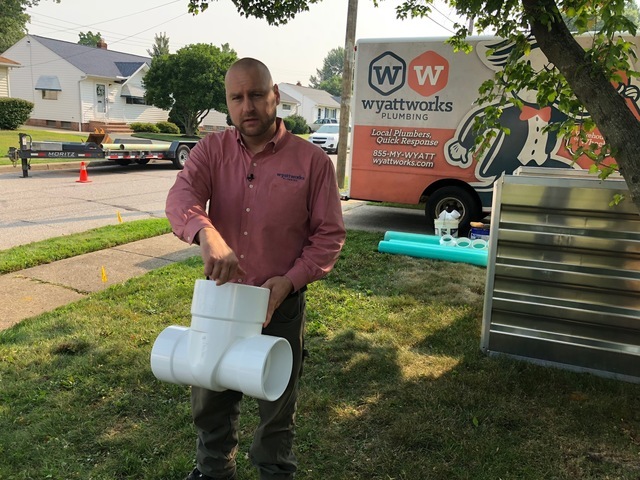 The City of Euclid tells News 5 that this kind of problem exists all over and WyattWorks Plumbing Services' Sewer Coordinator Joshua Wyatt Agrees. "The drain system in this property is similar to the drain system in a house in Shaker Heights or Cleveland Heights," said Wyatt. 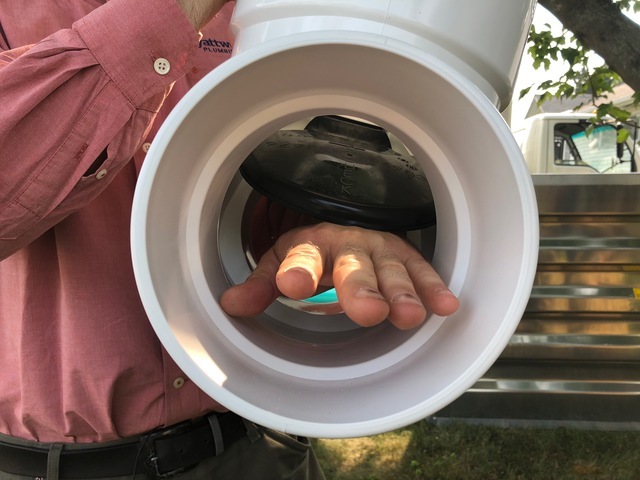 Joshua Wyatt holds a backwater valve, which can help keep water out of basements by preventing water and sewage from flowing through pipes back towards a home. As those communities have grown, the same sized pipes are forced to carry more water. "They were just put in in the sense where, 'Oh, this is plenty to handle everything,' and they maybe underestimated it," said Wyatt. Wyatt said the drainage systems built around the early 20th Century are mostly the same, with pipes that carry sewage and rainwater buried near each other. Heavy rains back up both systems, pushing the sewage back into homes like Margaret's. 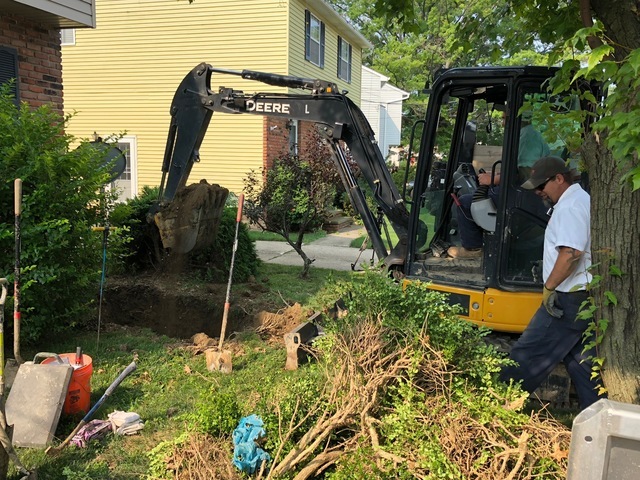 WyattWorks Plumbing Services digs in a Wickliff yard to install a backwater valve. "It creeps up and it ends up in the lowest spot, which happens to be your basement," said Wyatt. The answer can be installing a backwater valve for a few thousand dollars, with a rubber stopper that keeps water from flowing back into the home for decades before it needs to be replaced. Joshua Wyatt shows how a backwater valve allows water to pass through in the direction his hand is reaching, while the rubber stopper on top of his hand prevents water from coming back the other way. Experts say even with the valve or a bigger sump pump, there are still many ways water can get into a house. Nothing is guaranteed to keep a basement completely dry.